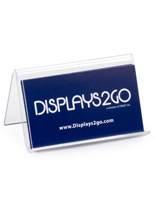 This acrylic calling card dispenser stores and distributes contact information with a simple, lightweight design and countertop mount. 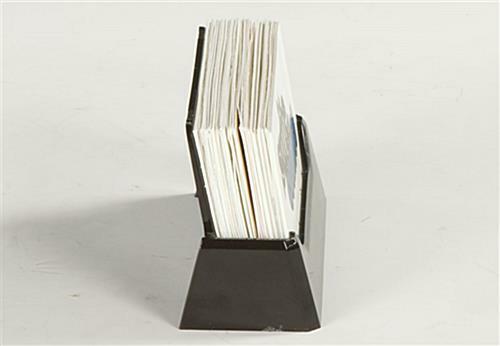 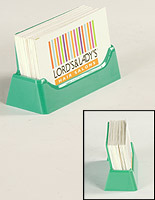 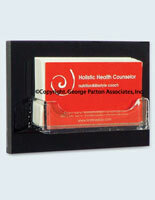 These holders for business cards display up to 49 contacts in an office or retail store. 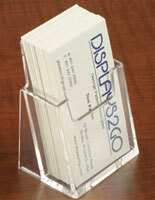 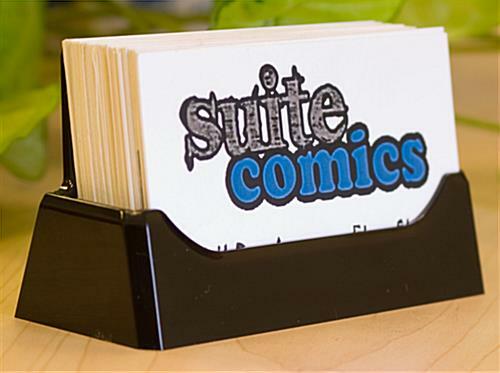 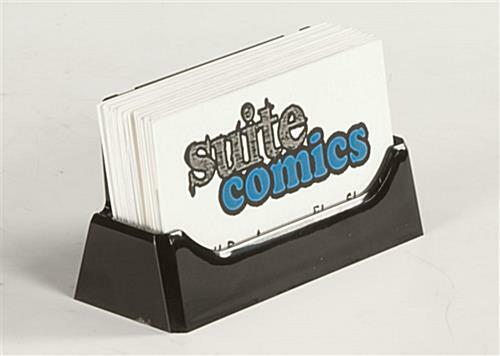 This calling card dispenser, like plastic desktop accessories, is inexpensive, and really cheap when bulk purchased. 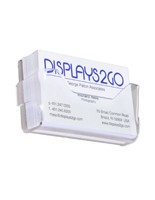 These promotional supplies dispense credentials guests can take with them and refer to later. 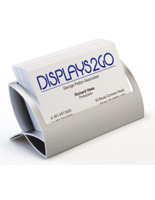 Distribute information about your organization with this simple, eye-catching card dispenser. 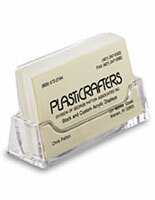 6.5" x 2.1" x 1.5"
We are unable to accept orders for less than 100 units.